One of the highest rated foundations available! 850 lb capacity one of the strongest in the industry! The Zero Gravity pre-set position simulates weightlessness – eliminating pressure from limbs and lower lumbar. Ultra quiet massage feature with 10 different intensity levels. Choose from head and foot only or full body options. 4 corner retainer bars provide built-in lumbar support and keep mattress in perfect position. 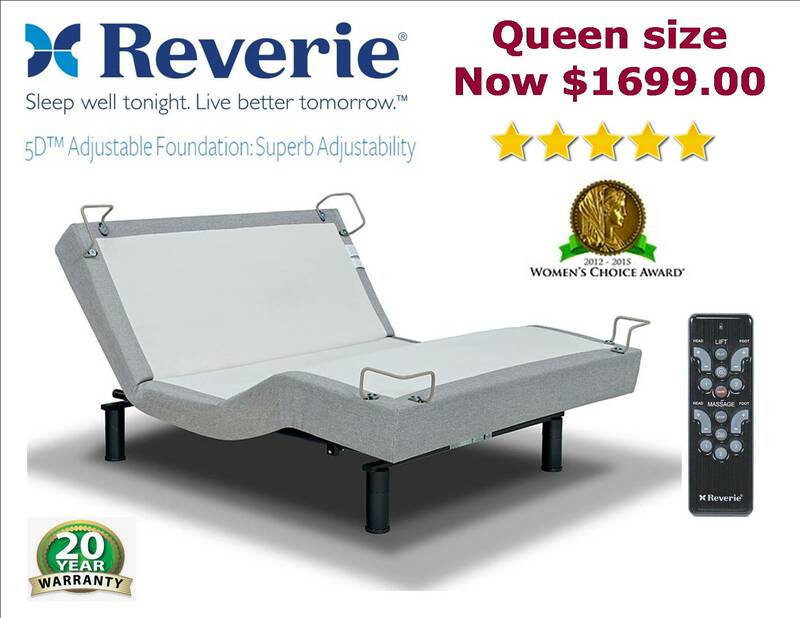 Proprietary steel adjustable bed foundation.